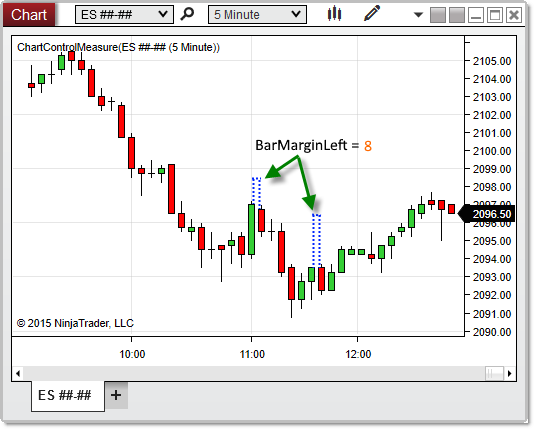 A hard-coded minimum bar margin value, set to 8 pixels, which can be used as a base value when creating custom Chart Styles. A value representing the minimum margin applied to the left edge of bars. This value is hard-coded to 8 pixels, and it can be used as a base value when setting the bar margin in custom Chart Styles. Based on the image below, BarMarginLeft reveals that the minimum margin maintained to the left of each bar is 8 pixels on this chart.